Thankfully, we now have Facebook to remind us of days like our birthdays. Sometimes it’s hard to distinguish between people who really remembered your birthday or those who just saw a notification. But hey, it’s the thought that counts. It’s a good feeling to have most of your family, friends and acquaintances fill your timeline with greetings and well wishes. It has been my habit to express my gratitude by writing something interesting or witty about myself and the years that have passed me by. But when I would think about the challenges that are affecting me now or the things that I still want to do or accomplish, they pale in comparison to the problems of some of the case studies I met two days before I turned 29. I recently met two young street vendors who would trade everything in the world just to study again — but are instead trading their youth to sell pastries in exchange of loose change. Meet 13-year-old Mudjur Clemente. He has stopped going to school to help her single mom and two siblings. It was only last August when he stopped going to school. He wanted to be full-time in his job of selling snacks such as crinkles and puto seko from Divisoria all the way to Mendiola where he’s now a regular among students of San Beda. Some of these students would dare him to recite lengthy legal documents before they would buy from him. Mudjur never backed down from the challenge and memorized the Preamble and other provisions such as our National Territory and the definition of marriage in our Family Code among others. If all this started as a joke, look who’s laughing now. 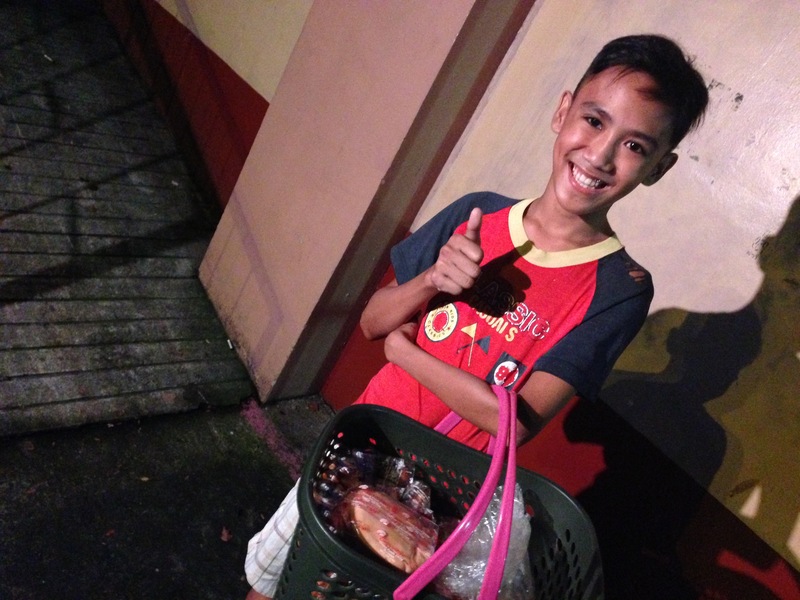 The Preamble became Mudjur’s hot ticket to the hearts of many netizens who posted their experiences with the bright and promising street vendor on Facebook. Now he’s working on more memorization assignments from San Bedans — Articles from the Revised Penal Code. And now he has gone viral online too. Mudjur’s thirst for knowledge made him dream that someday he won’t have to memorize all these documents just to sell snacks. He now wants to be a lawyer, hoping that he can help his family escape poverty through his hard work. But of course, he has to take a pre-law course. He has chosen Mass Communication. However, before anything else, he must return first to school. He still has to finish Grade 7. But how can he concentrate studying when he has to work at night? We, the sovereign Filipino people, made him famous through social media. I hope we can also help him get back on track so he can march for his diploma. Contact him here. As I was about to end my interview with Mudjur, I noticed her 9-year-old friend who was always by his side throughout the shoot. She was Gladys, another street vendor who dropped out of school. Casually, I asked her if she had any talent similar to Mudjur. She said yes. It turns out she was a relative of Gerald Tamayo, a street vendor who also gained internet fame because of his immense and insane arithmetic skills. Gladys told me she doesn’t know how to subtract or divide, only a little bit of addition and multiplication, since she uses it at work. But she knows square root. Yes, square root. Are you kidding me? I never encountered square root in elementary. And for the life of me, I seemed to have forgotten how to manually compute a square root after I received my high school diploma. Thank heavens for the calculator. I asked Gladys some easy perfect squares. 36? That’s positive-negative 6. 144? Positive-negative 12. I asked her how much she knows. She humbly said she only knows up to 1,000. And so I asked her what’s the square root of 1,000. She calmly said 1,000 is not a perfect square. The nearest, to her recollection, would be 900. That’s positive-negative 30. With this answer, I surrendered. Gladys quit school in September 2014. She said she couldn’t handle waking up in the morning to go to her classes; she has to stay up late to sell snacks. She tells me she has no parents too. She only has a grandmother. 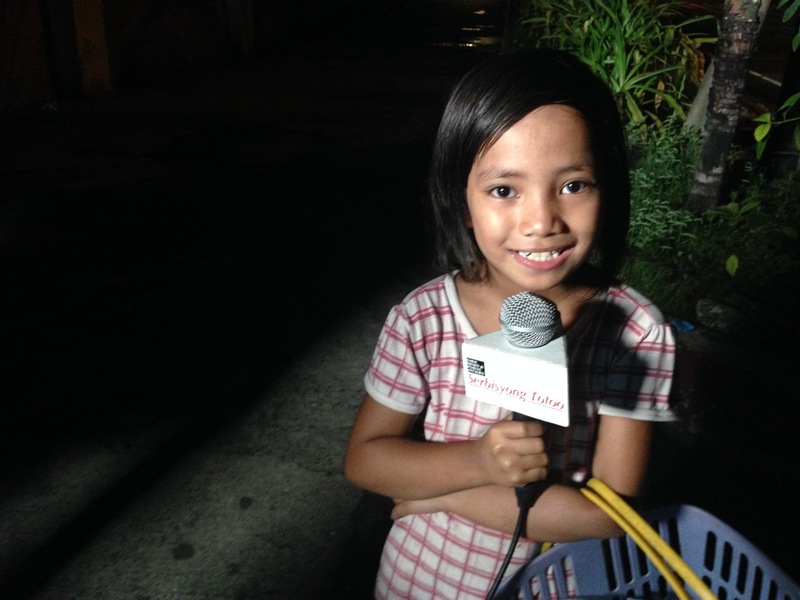 And for her Lola, she wants to be a civil engineer. You can watch my live interview with Mudjur and Gladys for the newscast State of the Nation with Jessica Soho here. Life is not a perfect square and Mudjur and Gladys can’t afford their education just yet. But life’s imperfections can help shape us into better persons. I mean, look at them. They aren’t even thinking about themselves when they said they want to be a lawyer and a civil engineer. They dream of becoming one to help their loved ones. Poverty is stealing their youth away from them. I doubt if they can even celebrate their birthdays like more fortunate children do. If I can have a birthday wish, I would implore the aid of our Almighty God to send kind people to help talented children like Mudjur and Gladys to get the education they deserve. And maybe to help them regain their childhood back. So help them God. Bam Alegre is the founder of SubSelfie.com and writes from time to time as a guest contributor. 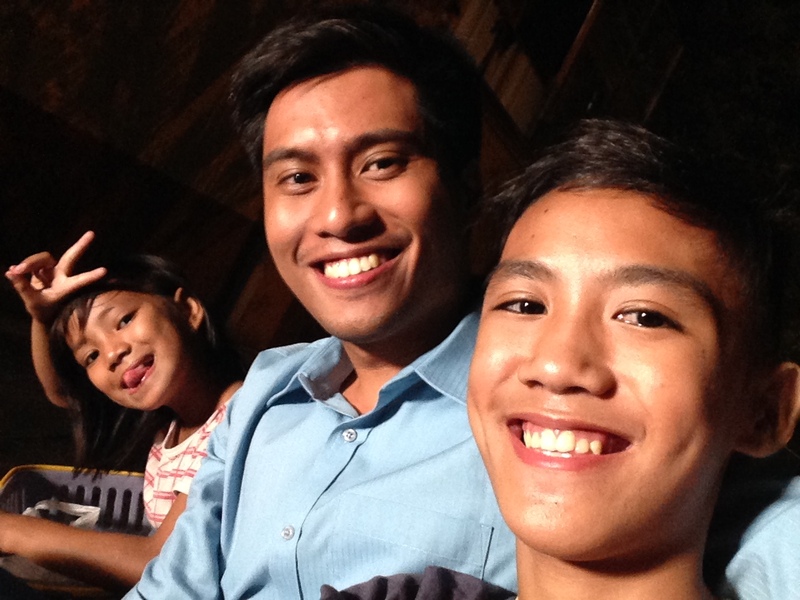 He is a News Reporter for GMA News (2012) and an Instructor for the College of Arts and Sciences at the University of the East (2015). He was also part of the team that won GMA News the prestigious George Foster Peabody Award for the news coverage of super typhoon Yolanda (2013). Previously, he worked behind the scenes as a Segment Producer for State of the Nation with Jessica Soho and 24 Oras (2009-2012). He is also the vocalist, pianist and guitarist of the band No Parking (2005). BA Broadcast Communication 2007, UP Diliman. Read more of his articles here.